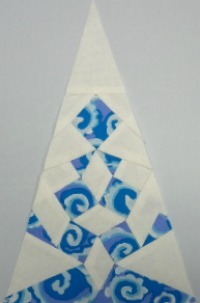 My DJ triangles were quite a challenge to make. 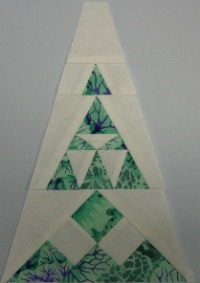 After making so many square blocks I really had to think twice while making these. 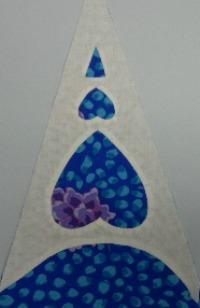 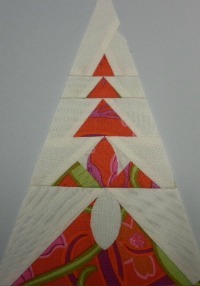 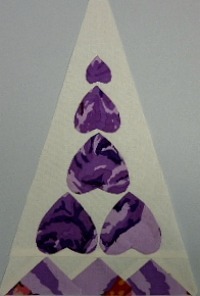 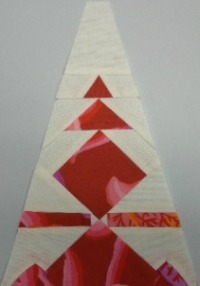 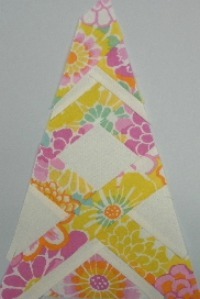 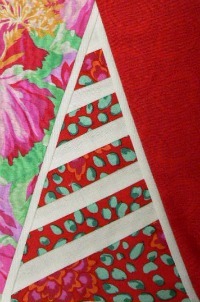 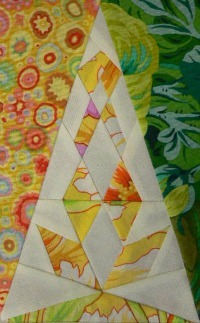 I have found it very helpful to make each triangle slightly larger than required. 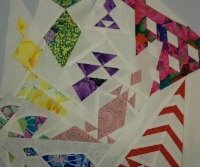 Occasionally I noticed that the block I was sewing together wouldn't always behave as it should - so I know having slightly bigger blocks will give me the extra fabric I'll need when trimming them down to the correct size. 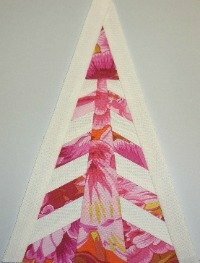 I did this by marking each pattern edge piece with an arrow - reminding myself which piece could be cut with a little extra fabric on that side. 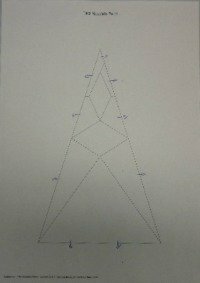 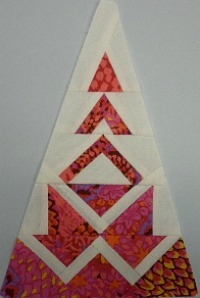 I have shown one of the triangle block patterns below with these arrows. 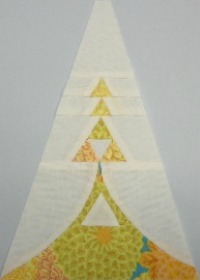 I highly recommend buying the triangle template from the official Dear Jane website so that all your triangle blocks can be trimmed to the exact same size. 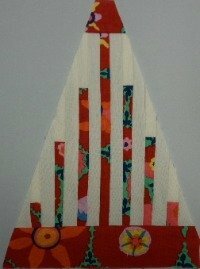 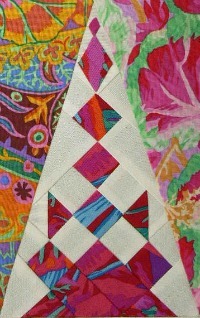 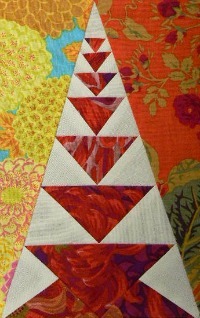 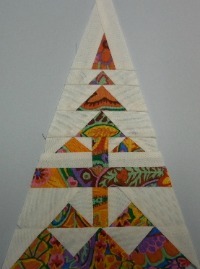 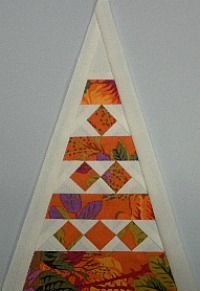 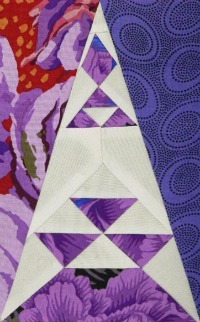 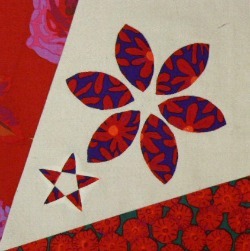 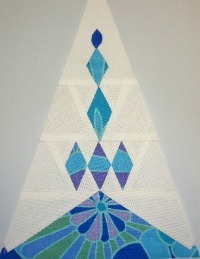 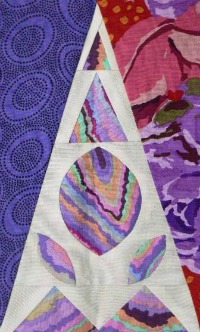 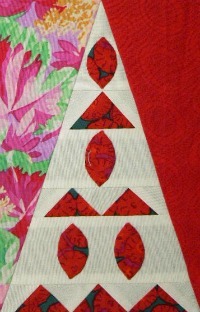 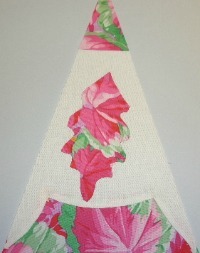 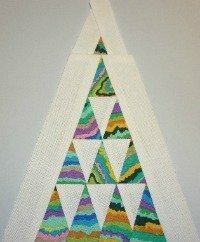 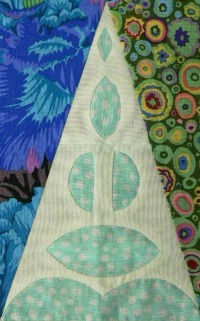 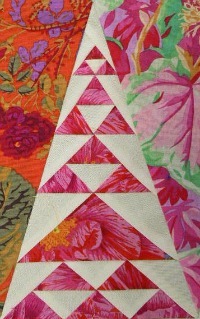 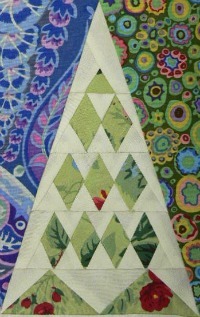 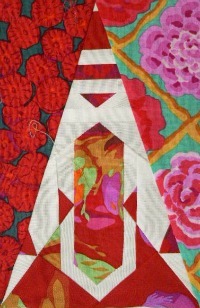 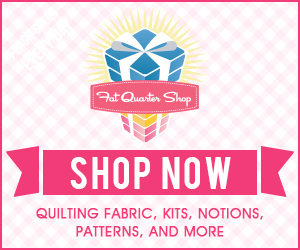 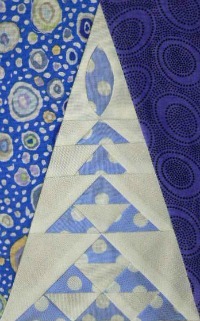 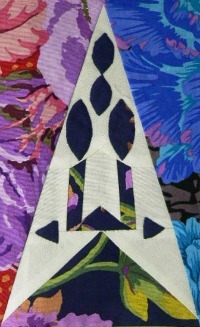 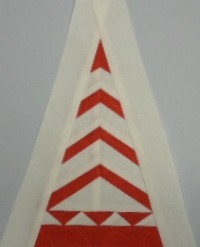 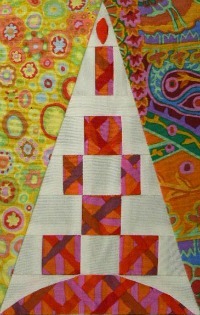 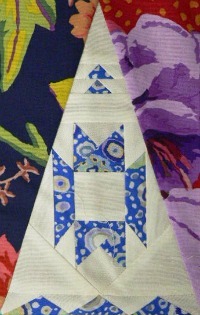 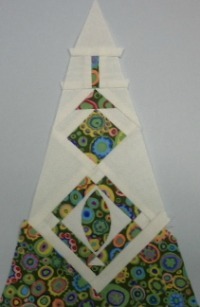 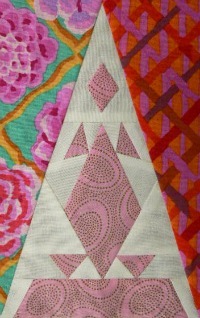 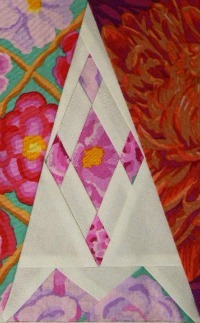 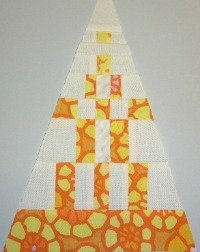 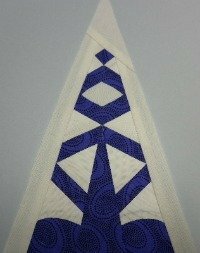 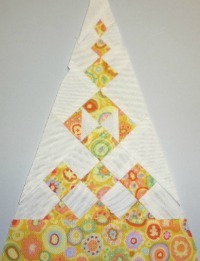 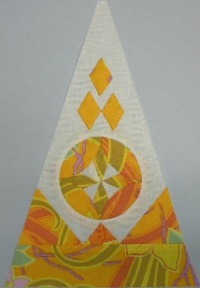 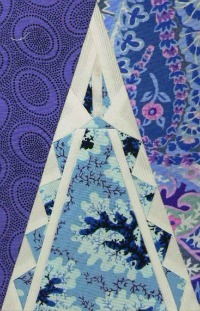 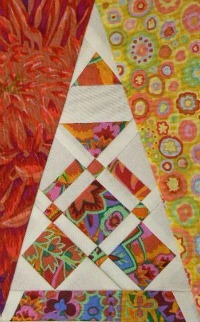 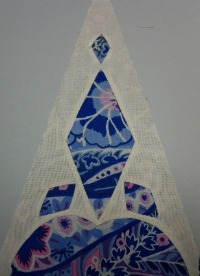 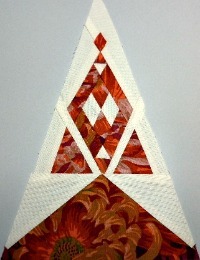 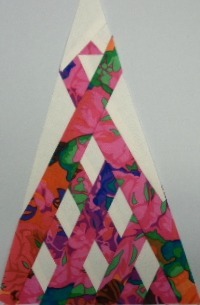 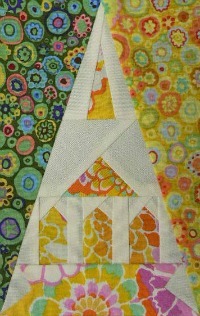 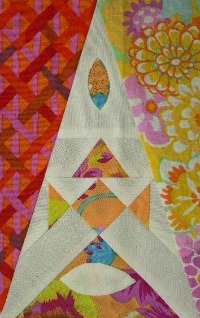 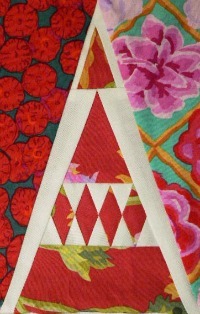 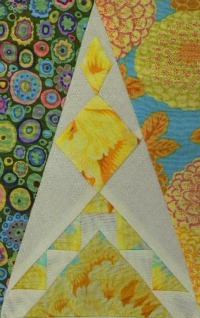 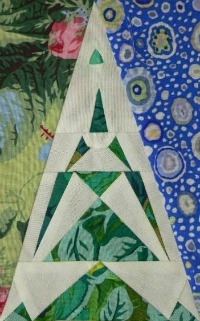 I made all my triangles following the instructions on that quilt blog. 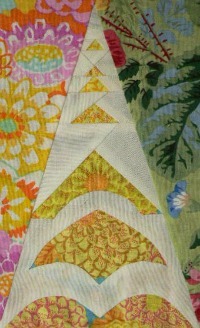 At the bottom of each blog entry Anina has a link to her next/previous entry. 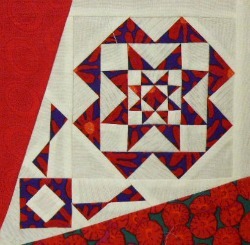 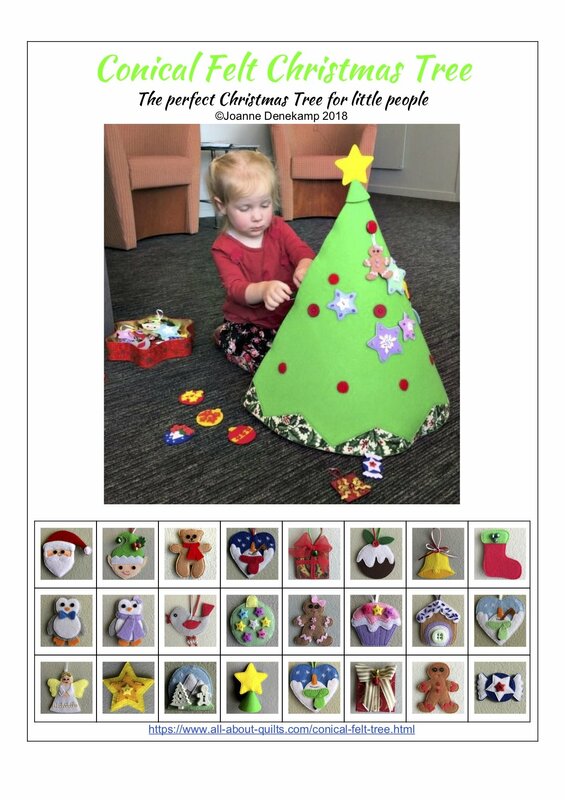 I followed these until I came across how she recommends sewing the boarder blocks together. 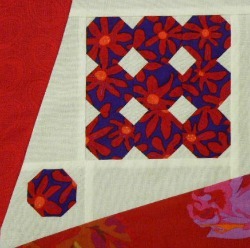 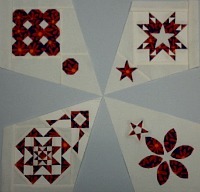 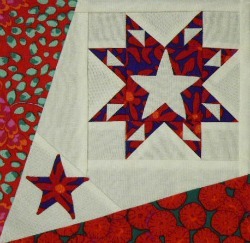 Here are my boarder blocks. 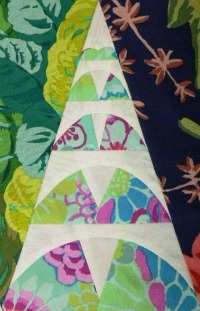 They are all still too large as I will trim them down when I'm ready to sew them together. 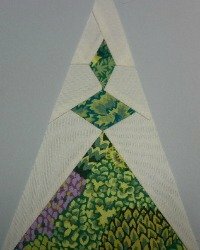 At the time of posting this page I noticed that I have left most of the foundation paper pattern pieces still in the blocks as well as still needing to trim away the second layer of fabric on some blocks - this shows through especially on block TR8.